A distinctive feature of these Parisian alternative metal band can rightly be regarded as live performances. This wall of sound, drive and energy sweeps away all obstacles on its way to the hearts of listeners. On the 9th of April ​​9 Fake Reasons start recording their fisrt album, and right now their EP is on iTunes. Writing the third album after ou second tour ! :) Our goal as a band is to share our love of music, giving pleasure to our listeners and share some intense moments with our fans. Twitter contest gives a chance to be a part of the ArenaCast to one of those three contestants, but it is still up to you to decide who it will be! The one, who attains the highest number of re-tweets at the time of the competition becomes a participant E106 of the ArenaCast. The Twitter contest will be closed on Monday, February 27th. Cast your vote for your favourite band by re-tweeting the appropriate message from official ArenaCast Twitter. The links to messages are given below each song's info. Please beware that only official re-tweets count here. So, no RTs or quotes please. Joe Jury is a singer-songwriter currently living in London, UK. 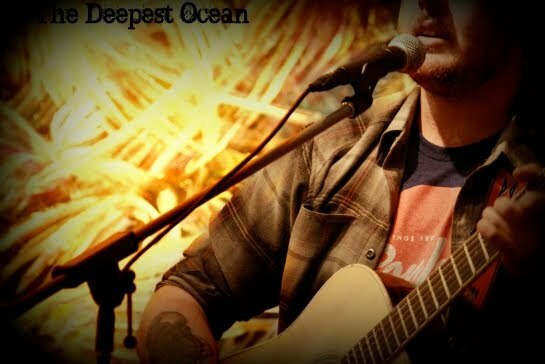 Joe plays acoustic pop\rock with strong influences of folk and soul music. Deadman is a indie rock trio from Madrid, Spain. 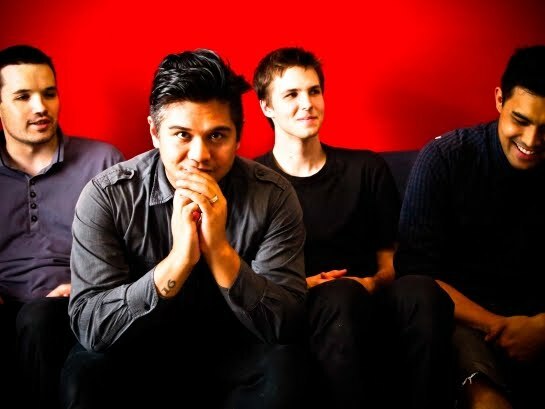 Their music has many influences from dirty punk rock Pixies style sound to the complex arrangements of Radiohead or Muse. 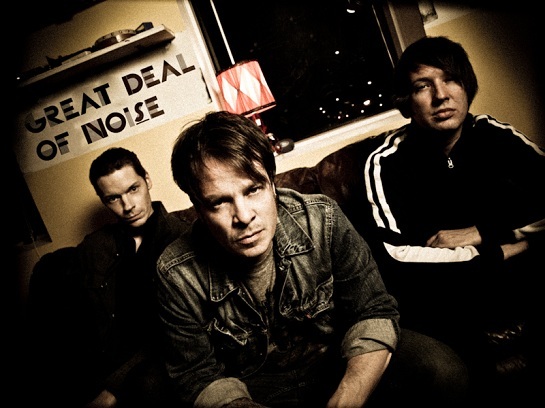 Eycromon is a synth-pop/elektro/wave trio from Augsburg, Germany. This project is a brainchild of singer Mandra Gore and composer/keyboarder Bergerac. At this week in R&R World Facebook poll takes part another three unsigned artists. Song which gets the most votes falls into the tracklist of E106 ArenaCast, which will air on March 7. Below you can find songs, brief information about each artist and links to their profiles. The poll will be closed next Monday, 27th of February. Cast your vote, discuss, share with friends and enjoy the great independent music! 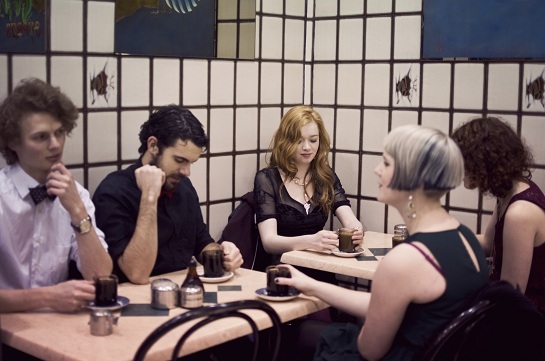 8 Day Warning is an exciting and mysterious pop/rock band from the UK. Lyrical and haunting vocals in the background of powerful riffs and classic rock bits - these guys know how to rock! 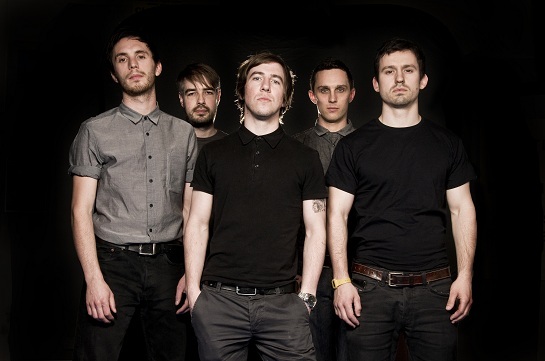 Dixon Did It is an unsigned hard-rock band from Newcastle Upon Tyne, UK. Heavy guitars riffs, melodic vocal and catchy refrains - are a hallmark of Dixon did it. 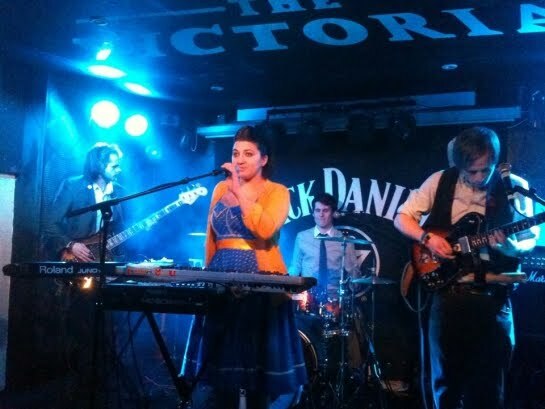 Blackheart Afterglow is a rock/indie band from Morecambe, UK. 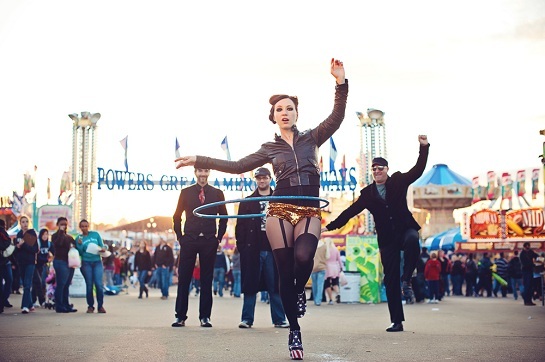 Since September 2010 these folks are playing tasty mix of indie and folk music. They have a lot of concerts scheduled for early 2012. You can learn more from their profile on Facebook. To cast your vote for your favorite song follow via this link. In 5 years we hope to be touring at least the UK and parts of Europe, having made 2 albums. Our main aim would is to be a band that people want to come and see when we play gigs, and to do that as a full time job would be the most incredible thing in the world so i think that's our main aim. This guys play an awesome mix of dance and indie-rock music. The new single of Rebel Soul Collective named 'Fallout' will be released on iTunes on the 5th of March. Check out Rebel Soul Collective official site (you can find link below) as they have a lot of gigs in the first days of March. Don`t miss a chanse to see (hear and DANCE!) this band live! In 5 years i would like to be retired but the way the MUSIC industry is at the minute we will probably all be working when we are 60!! but on a serious note we are currently working on some collaborations with some huge artists so are looking to branch out into that side of the music industry. As a band we are not scared to work with other artists to help pay the bills, watch this space!! It`s time to name the best artist of January episodes of ArenaCast! 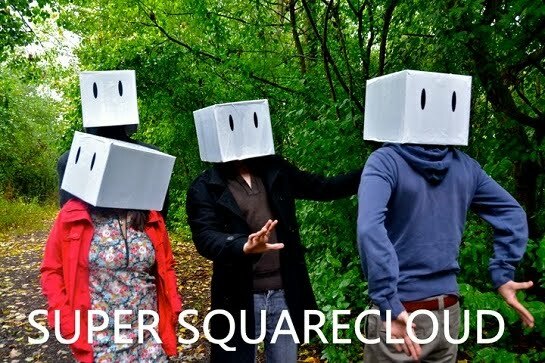 In the two weeks that have passed since the start of voting, favorites have changed several times, increasing and reducing the gap between them, and finally, we are pleased to announce that the winners are Super Squarecloud! They demonstrated their united army of fans who have provided strong support during the Ultimate Monthly Poll. Thanks to all those who took part in the voting, in particular for all fans of Dogwood Crossing, you really showed a great will to victory! Stay tuned for the news and updates of ArenaCast blog. When we asked "How did you come up with your band name?" they answered: "There are a couple of things. We were listening to "Weird Fishes/Arpeggi" by Radiohead and the song says "in the deepest of the ocean/at the bottom of the sea/your eyes/they turn on me....I'd be crazy not to follow/follow where you lead" and that just sort of spoke to that. This verse also led us to a verse from the Bible where it says that God's love is deeper than the deepest of oceans". I would like to add that the music of "The deepest Oucean" is as emblematic as the bandname. Nuff said! Let`s listening to their songs and read the brief interview! It's hard for anybody to say where they will be in five years, especially with how up and down the music industry can be, but in five years we see ourselves as having two or three full length albums as well as playing as supporting acts for bigger international bands that come to our city as well as headlining our own, smaller, national and international tours. These guys are lucky ones, in my memory they are the only band appeared in two episodes of the podcast in a row. After their first feature in ArenaCast they made a great jump in our charts and Fritz decided they worthy to be featured in the podcast again. So here we have a new Q&A with the Canadian adepts of classical electronic music - Great Deal of Noice! Keep creating/playing music with the same energy and enthusiasm. Most importantly, being able to share this with fans, and doing that on a larger scale would be even nicer. 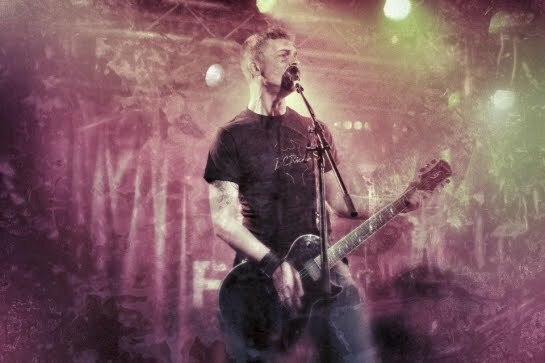 Our main goal is to refine our sound, become a unique rock band that is instantly recognized. We love gigging and in a few years we want to do big festivals, dancing with fans in the mud of Glastonbury and touring the States! Today we are pleased to announce the first two songs which will be included in the 105 ArenaCast episode that will air on February 22. As a result of our Facebook Poll the winner is Grassfight, indie rock band from New York with their song No Sense, and winner of the Twitter Contest is Run To Me, an alternative rock band from Bracknell Forest, UK, with their song Awake. They are stylish, even more so: THEY ARE STYLISH. This is a stunning mix of Kat`s remarkable vocal and catchy driving tunes, with a stunning live performances. Read their brief interview, listen and follow the extraordinary The Design! If you like what you hear and what you see (and we hope you do), you can listen to and download the album "Young America" on the band's website. 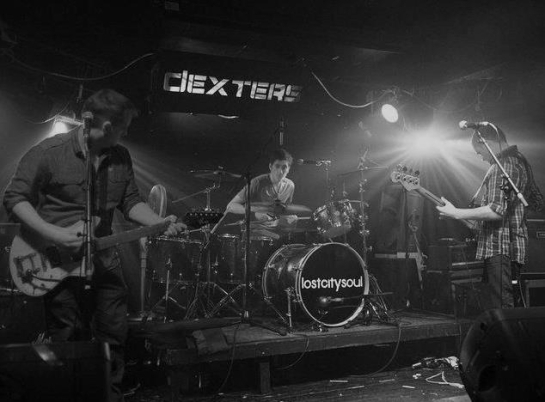 We would love to be touring nationally, promoting our 3rd or 4th album. We would love to be on national television. This episode of the ArenaCast consists of ten songs from artists from the UK, USA, Australia, Canada and France, all playing in different genres and styles. Two songs represent winners of the weekly Twitter Contest and Facebook poll, and one song was chosen by our DJ Mr. Fritz from the R&R World Weekly Chart Top Ten. Listen, share and enjoy this episode hottest R&R World community indie songs. This week we have chosen another three unsigned indie bands for R&R World Facebook poll. Song that wins in the poll will be featured in ArenaCast E105 which is going live on February 22. Below you can find brief information about each of the participants and listen to the songs that have a chance to become a part of the podcast. The poll will be closed next Monday, 13th of February. Vote, discuss, share and enjoy the great independent music! Fans of Kansas City-based alternative rock band 49 Stones describe the experience of their live shows like "Music on Monster". According to the records - they're right:) 49 Stones currently working on the material for their new album. Grassfight is a three piece unsigned indie band from New York. Their songs is a complex interweaving of different genres and styles, in the frame of firm viscous Grassfight sound. This week's Twitter contest is started! We have three great independent artist, the one who attains the highest number of re-tweets at the time of the competition becomes a participant E105 of ArenaCast. The Twitter contest will be closed on Monday, February 13th. Hurry up to cast your vote for your favourite band by re-tweeting the appropriate message from official ArenaCast Twitter. The links to messages are given below each song's info. Andy Gibbard is a singer/songwriter/pianist originally from Guernsey, Channel Islands, now based in SW London. Andy is working on his debut album called "HEART", which will be released in summer 2012. Run To Me is a rock band from UK. 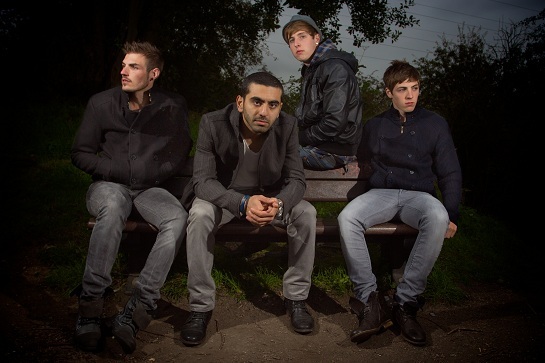 They formed recently, in January 2011 and play many different styles of music, from rock to acoustic songs. Driving sound of Shoogar it is a perfect reminder that rock 'n' roll is still alive. It got transfigured, became younger, but stays furious, loud and... true. Shoogar are working on their debut EP and we are looking forward to this fountain of emotion of pure rock`n`roll! 1. Is there a story behind your song “Heartbeat”? As with a lot of our songs we talk about our love for the complicated creature that is women even when not obvious. 'Heartbeat' is about a toxic girl that you just can't take your eyes off and dam she knows it, the type that stands out from the crowd and has real sass. Sometimes they sound to me like an early The Cardigans, but with more drive and vigor. They describe their sound as "somewhere between pop and chaos" and recorded their debut EP "ourselves on old broken equipment in our guitarists bedroom". And they are #1 on R&R World Weekly Chart. Amazing Super Squarecloud! 1. Is there a story behind your song It Gak?